What grade would you like to get on this test? We studied colonization, Columbus, Indigenous people, the Atlantic Slave Trade, and the Middle Passage. What parts do you think you will do best on? What will you get on the test today? I think I will do the best at The Middle passage. I think I will get an “A” on the TEST. I think I would get a good grade for the test. The part I would do best is the Atlantic Slave Trade though I do remember most things from each topic. I think I am going to get at least a b+. I think I am going to best on the indigenous. I THINK I WILL TO BEST ON THE Part OF ”ATLANTIC SLAVE TRADE” AND ON THE MIDDLE PASSAGE.AND I THINK I WILL GET A ”’B””. think i will do best on the middle passage. I would like to get an A on this test. i think i might know a little bit about the Indigenous people and also about the middle passage. i might also know a little bit about Columbus but ill try my best. I would like to get a B or better because im trying my best.I think im going to do better in middle passage because i have learn.I been studing hard.I think im going to do well in my test. i think i will pass the text because i study really hard. well the test grade i would like 2 get is an A or a B……ummmm………i think i o do best on atlantic slave trade..that’s what i think. I would love to get a A on the test. The part I would do best on is the Middle Passage. I WOULD LIKE TO GET a A or a B. ITHINK I AM GOING TO DO GOOD ON INDIGENOUS PEAPLE. AT LEAS A C PLUSS.I THINK AT MIDDLE PASSAGE I THINK. The grade i would like is at least a B or better. The part i feel that I’ going to do better on is the columbus and The Middle Passage. I WOULD LIKE TO PASS MY TEST WITH A B OR BETTER. I THINK I AM GOING TO DO VERY GOOD ON THE COLUMBUS AND INDIGENOUS PEOPLE. at least a b.i know the columbus people more. The grade that i think i like to get in this test is an A OR B. I THINK I’M GOING TO DO THE BEST IS ON COLUMBUS.OR THE MIDDLE PASSAGE…. 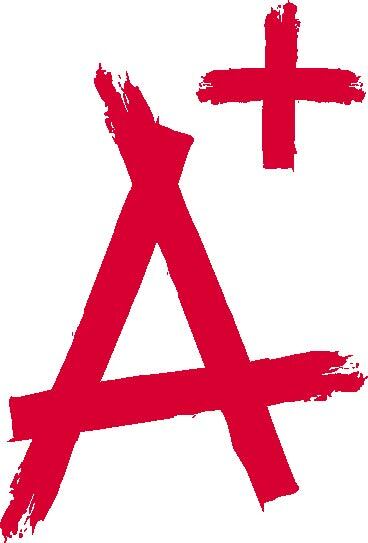 i want like an A on the test i will do good on the middle passage. I think I would get a B.I know more about the INDIGENOUS PEOPLE. On the test i would like to get a A or at least a B.. I THINK WILL GET AN ‘B’ BECAUSE I DID WHAT I HAVE TO DO TO STUDY. I THINK I WILL DO WELL IN INDIGENOUS PEOPLE BECAUSE I NOW WHAT HAPPEN TO THEY………. i think i might get a “b” or a “c” .i think im going to do goosd on colummbus. I want to get an A no the test. the part i will do best no is the middle passage. I think I might get an A or a B on it because I studied extra hard at home.I think I will be good at all of them and it’s all thanks to Mr. Chardon ! I would like to at least get a B or C for my grade and the part of the test I feal I would do the best on is on indigenos people. I would tell you can study with your brothers and sisters. SOMETHING THAT I HAVE STUDIE THE MOST IS SLAVE TRADE…….AND THE GRADE THAT I WOULD LIKE 2 GET IS LIKE A (B)…. I BELIEVE I WILL GET AN “A”.